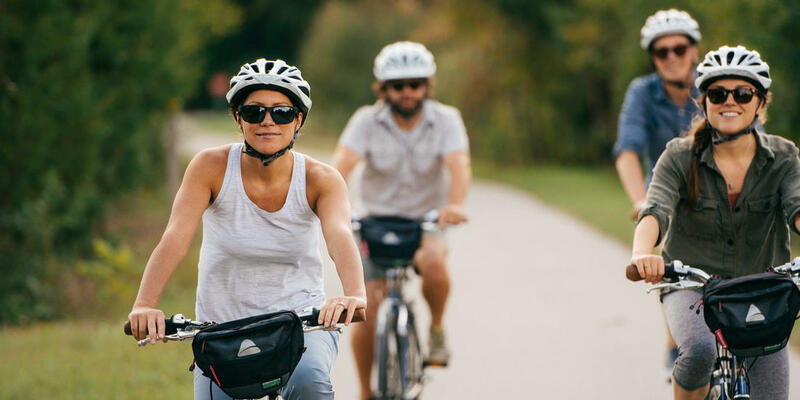 This summer, Grand Traverse Bike Tours is partnering with Inland Seas Education Association and Shady Lane Cellars to offer their new much anticipated Bike & Sail Tours. 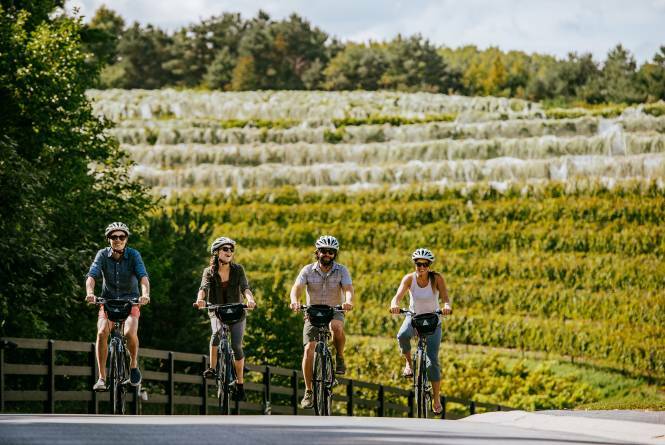 Pedal the scenic Leelanau Trail, experience the vineyards and wineries, then sail back. This tour captures the best that Traverse City and Northern Michigan have to offer, it is truly a Pure Michigan experience! Each tour starts off from our shop in Suttons Bay, by pedaling south along the scenic Leelanau Trail. We will stop along the way to enjoy Shady Lane Cellars' wines while overlooking the vineyards. Heading back to Traverse City, we will set sail with Chef Bryon Figaroa on board serving local cuisine paired with local wines. Bike and Sail will take place on select Saturdays. Each tour runs from 1:00 PM to 7:30 PM. Tickets for the day-long guided tour are $195 per person. 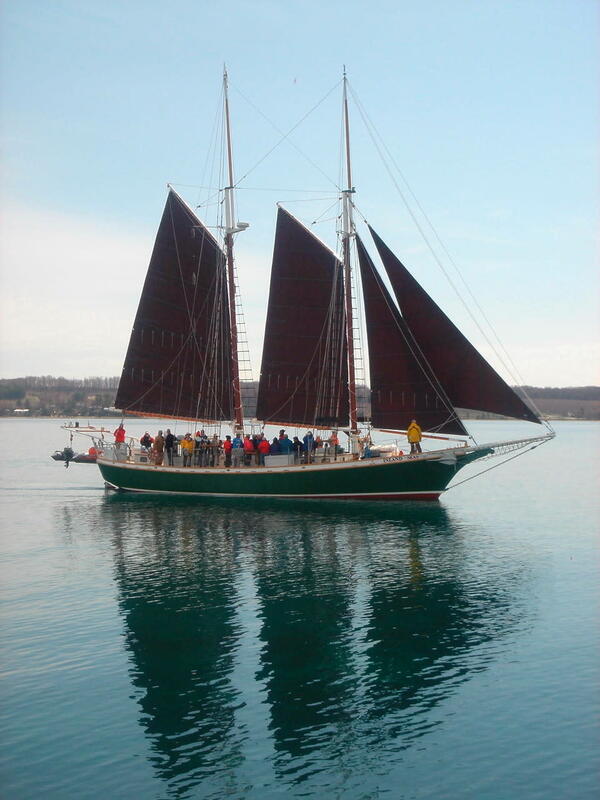 Each tour includes: a professionally guided tour, a bike and helmet rental, a guided wine tasting at Shady Lane Cellars, a two to three hour sail along Grand Traverse Bay aboard Inland Seas Education Association's 77' Gaff Rigged All Ship Schooner, a gourmet dinner with chef Bryon Figaroa, wine and craft beer on the Schooner, as well as van support (roadside assistance, wine purchase pickup, and gear transport).